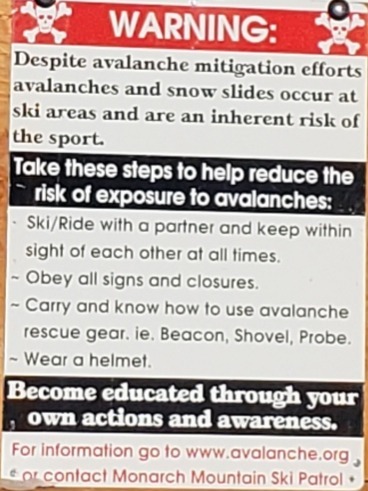 As discussed in previous posts, Monarch and the ski industry in general, put forth a great amount of resources in mitigating avalanche hazards. Despite these extensive avalanche mitigation efforts, avalanches do sometimes occur within ski area boundaries and are an inherent risk of the sport. The Colorado Supreme Court ruled avalanches are an inherent risk in skiing and are addressed in the Colorado Ski Safety Act’s list of dangers that include changing weather, snow conditions and varying terrain including surface or subsurface conditions. 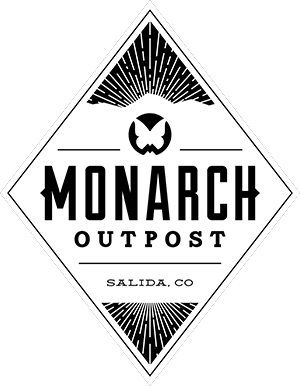 Monarch recommends utilizing avalanche rescue gear and traveling with a partner while skiing or riding in potential avalanche terrain. 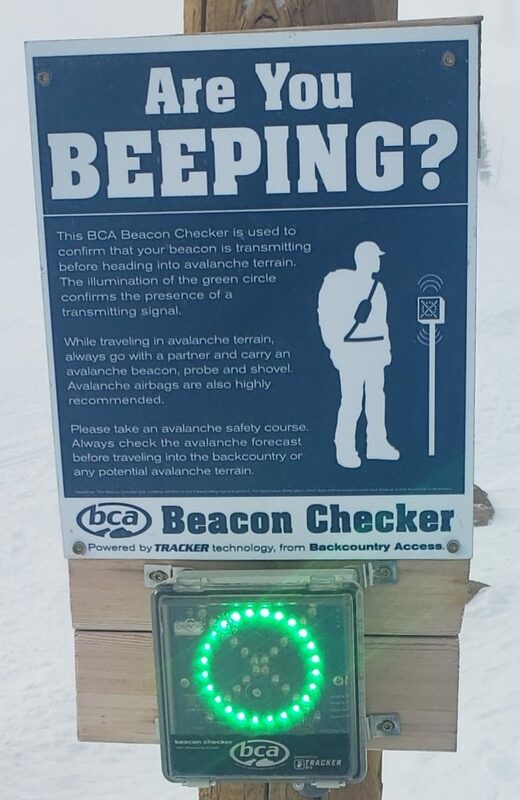 Located at the top of the Breezeway Lift is our BCA Beacon Checker. This unit provides an opportunity to check and see if an avalanche transmitter is working properly & sending a 457 kHz signal that can be located by another beacon when searching. Another option to increase searchability is to wear clothing or equipment that incorporates RECCO technology. For more info on avalanche hazards in Colorado, visit the CAIC website. For info on avalanche education opportunities, visit A3. Other questions about avalanche awareness and the steps that can be taken to mitigate avalanche risk can be directed to Monarch Ski Patrol.